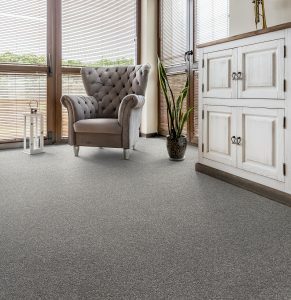 The CFS Fairfield Silk Carpet is a bleach cleanable twist with an extra heavy domestic rating. Available in either a 4m or 5m width and made from 100% Eccelena Silk super soft yarn. It has a pile weight of 1,450gr / m2 (46oz) and a smart backing for added durability. “A super silky feel, amazing underfoot”. Carpets can help you save energy. Therefore, making it an important contributor to the insulation of the indoor environment. Carpeting insulates your floors, thus providing a psychological feeling of warmth. In addition, several studies have found that carpets absorb sound and carpets. Furthermore, if you add underlay this will further enhance this ability. Carpet & Flooring has grown into one of the largest distributors of floor covering products. Stocking and distributing products from Europe’s leading flooring manufacturers. With 11 Nationwide branches, plus a National Distribution Centre in the Midlands. Carpet & Flooring can deliver what you need the very next day. You can find our branch locations here. Our National Distribution Centre, has the capacity, for over 1 million m² of carpet and 1/2 million m² of carpet tiles. In conclusion, we have a great choice of products in stock, for next day delivery. We provide a FREE, NO OBLIGATION QUOTE on all jobs. No matter how big or small, residential or commercial. In addition, one of our team will happily visit your home or premises and bring samples with them.